In a previous post, we learned how to use the publish-subscribe cycle along with Faye and the Private Pub gem to create a chatting application with Rails. There is, however, another way to provide your users with push notifications from the server--polling. The web is built on the client/server model--the client senda a request to the server and the server sends information back to the client. In this model, there is no way for the server to indepedently send information to the client. So, how can a client receive real-time updates from the server? Aside from the publish-subscribe method mentioned above, many real-time web applications utilize polling. The client client can periodically "poll" the server and request new information (such as new messages or emails). The server then responds and sends the new information down to the client. The operation is then repeated. This effectively imitates the action of a server "publishing" information to a client. As usage grows, how will you orchestrate your realtime backend? When mobile devices rapidly switch between WiFi and cellular networks or lose connections, and the IP address changes, does long polling automatically re-establish connections? With long polling, can you manage the message queue and catch up missed messages? Does long polling provide load balancing or failover support across multiple servers? When building a realtime application with HTTP long polling for server push, you’ll have to develop your own communication management system. This means that you’ll be responsible for updating, maintaining, and scaling your backend infrastructure. However, for the purposes of a small-scale application, polling is a perfectly sufficient way to update clients with important information in real-time, and many large-scale applications do utilize effectively. In the example of my Title-ize! application, we need a way for user's to be notified when someone is messaging them to play a new game. If a user is already in a particular chat room, this isn't an issue. They'll simply see the new messages published to that chat because we built it using the publish-subscribe model. However, if they are on their home page that displays the lists of players, they need to be alerted if a particular player is initiating a game with them by sending a new message. Let's say, for example, that Charlie Kelly of Paddy's Pub is trying to send me a message. It is probably very important--it may even have something to do with the eight cats that live in his sink. How can I get my application to alert me about his new message? Ideally, Charlie's name on my list of friends will become bolded and the green light next to his name with flash red. Fire a request to the server at a given interval to check for new messages. If there are new messages sent to the current user, apply some "alert" styling to the sender of those messages on the above list. Do it all over again! The above function, set to fire on document ready, will wait 10 seconds and then execute the updateMessages function. But wait a second, you are probably thinking, don't we need to check the server for new messages every 10 seconds, not just once after a period of 10 seconds? You are so smart, that is absolutely correct. The index action above instantiates a new instances of our ConversationDecorator class, a decorator responsible keeping track of conversations between users. This decorator is built to include some instance methods that will tell us if there are any new messages sent to a current user. Then, the index action renders the index.js.erb file in the conversations subdirectory of the views directory. First, we check if there are any new messages by calling .updated? on our instance of the ConversationDecorator class. If there are new messages, we collect them with the .convos method, iterate over them and add our "alert" styling to the appropriate sender's name on our list of players. 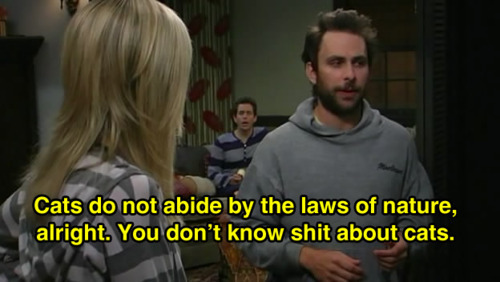 Now, next time you need a good bird lawyer, Charlie will be sure to get your message.